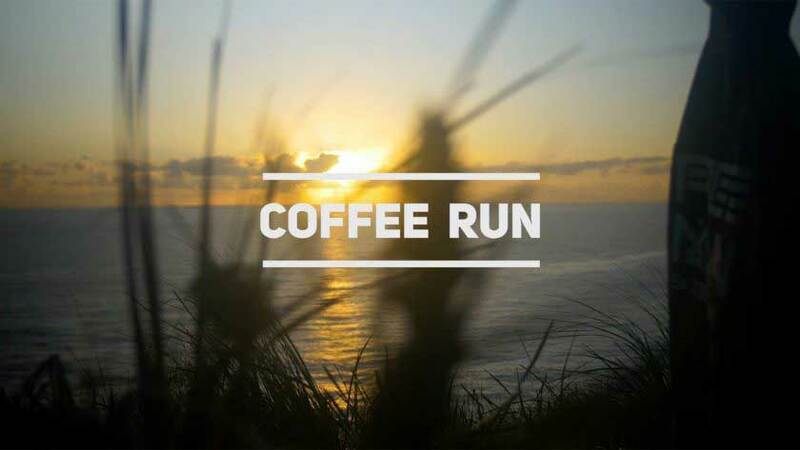 “Coffee Run” is a short concept skateboarding film made for FREE MAN Skateboarding (freemanskateboarding.com), based in my home town Byron Bay. FREE MAN co-founders Zac Lovett, Zak Pitter and I, set out to make a fresh, unique short film for the newly launched board company. Our goal was to capture a very “Byron” cinematic skate journey to get a cup of coffee while attracting attention to the brand. What better a location then Byron’s very own iconic lighthouse bush walk?! In the film, Zak skates down the deserted bush path, encountering other FREE MAN skaters along the way. Trying to capture a people-free shot at the lighthouse was our biggest issue, as it is a highly populated tourist area. With a lot of patience and with the assistance of walkie talkies (aka iphones), we managed to capture all the shots we were after. On numerous occasions, we did have to politely ask people to stop to allow Zak to quickly fly past on his skateboard. To achieve the crisp, cinematic film look, we used two Panasonic GH4 DLSR cameras. We shot on a low contrast colour profile and then colour graded in post to really make it pop! To accomplish nice smooth moving shots, we attached one of the GH4’s to a DJI Ronin Gimbal Stabilizer.